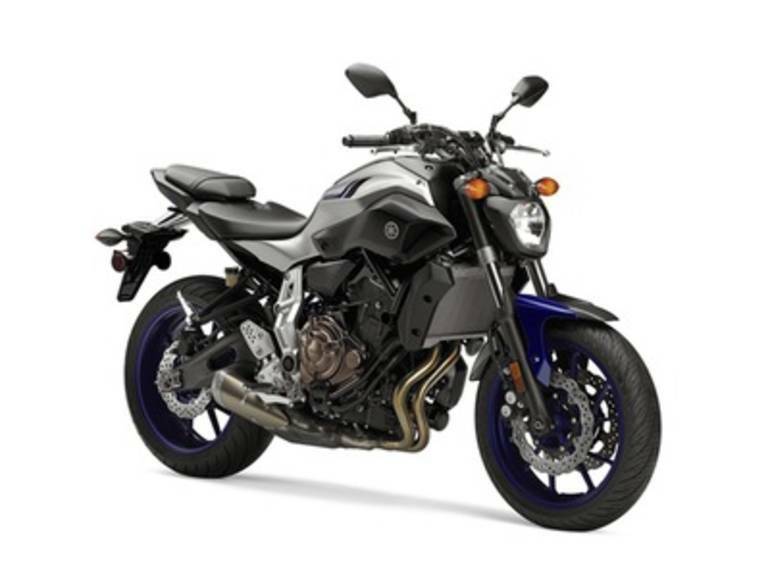 2016 Yamaha FZ-07, 2016 Yamaha FZ-07 IT ALL STARTS HERE ON THE NEW FZ-07 The ultimate sportbike for under $7K, the FZ-07 offers huge thrills and fun in a value packed light weight and nimble package. Features May Include: Compact, Torque-Rich Engine The FZ-07 features an all-new 689cc liquid-cooled, in-line twin cylinder, DOHC, 8-valve engine with fuel injection. This engine has a unique power character. It provides outstanding low- to mid-range torque with very linear throttle response, yet offers strong mid-high rpm pulling power as well. The engine develops up to 50 foot pounds of torque and is designed to maximize riding excitement in the real world. Crossplane Concept This 2-cylinder engine features Yamaha s Crossplane Concept, 270 degree crank that provides linear torque development in response to the rider s throttle input. The FZ-07 s in-line 2-cylinder engine provides linear torque development, smooth torque characteristics and a strong feeling of acceleration in the low- to mid-rpm range along with pulling power that extends to the mid-upper rpm range. The CP2 engine is also light, slim and compact and offers an excellent level of rider/machine communication. Compact Frame Design A new lightweight, diamond-type, backbone high tensile steel frame provides an optimized rigidity balance for light, agile handling and stability. The engine is a stressed member of the chassis, allowing a lighter, more compact main frame design. Sporty Chassis Dimensions The wheelbase, seat height, fuel tank width, rake and other dimensions are all set to work with the qualities of the compact 2- cylinder engine to achieve a sporty, light and neutral handling character. Advanced Instruments A newly designed lightweight, compact, full LCD instrument panel is adopted. The panel includes a digital bar-type tachometer display with gear position indicator, digital speedometer, odometer, dual trip meters, fuel gauge, fuel reserve trip meter, clock, instant and average fuel consumption and a range of warning and indicator lights. All Yamaha pictures are kind of Yamaha HD motorcycles picture was taken, including motor fuel gauge, engine, engine mounts, tires, fuel tank, the car handles, lights and so on, 2016 Yamaha FZ-07 full-screen viewing,2016 Yamaha Motorcycles today Price: $11,900 .